The Samsung Galaxy S4 Mini has been gracing the headlines lately. This is somewhat expected since its big brother, the Samsung Galaxy S4 has already leveraged into the smartphone market. If indeed, Samsung is releasing the Galaxy S4 Mini soon, it’s interesting to note that it will be following up a highly successful flagship smartphone, the Galaxy S4 and a not-so popular predecessor, the Galaxy S3 Mini. There has been no drought on rumours when it comes to the specs of the Samsung Galaxy S4 Mini. Earlier reports claim that it will be powered by a 1.6GHz dual-core Exynos 5210 processor. For those who owned the S3 Mini, this is a huge improvement as the said phone can only muster a not-so popular NovaThor U8420 processor. While we don’t know yet what the Exynos 5210 is capable of, what reports say is that it uses two A7 cores. These two cores are used separately for power saving and performance. In simpler terms, it’s safe to expect that the S4 Mini will be a pretty capable smaller version of the Galaxy S4. 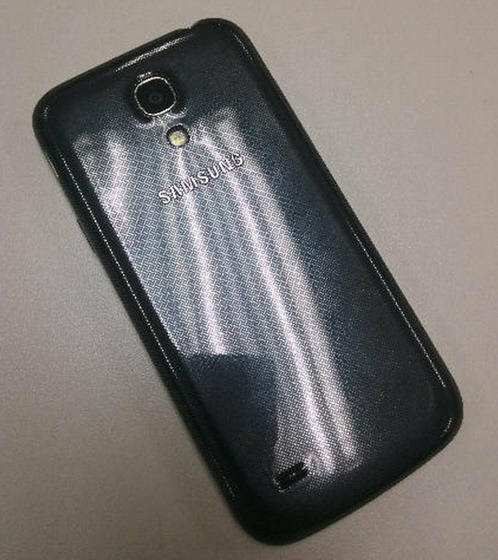 Other rumoured specs of the Samsung Galaxy S4 Mini include a 4.3-inch AMOLED display with a smaller resolution of 540×960, 1GB of RAM and a possible 2GB of RAM for its LTE variant. It will have an 8MP camera and take note runs on Android 4.0. Noticed something weird about the specs we’ve mentioned? You guessed it right. It’s Android 4.0. This could be a minor error since the Galaxy S3 Mini when released was running Android 4.1. Certainly, Samsung will not put an older version of Android on a latest product. Unfortunately, while the rumoured specs and even leaked photos of the Galaxy S4 Mini is not too scarce, there has been no information about its pricing and release date. But given Samsung’s track record on releasing one smartphone after another, we will not be surprised if dear old Sammy announces something official about the Galaxy S4 Mini by June or July. For our friends in Korea who might be reading this, we’ve got some bad news for you. Areport claims that Samsung is not vent on releasing the Galaxy S4 domestically just like what it did for the Galaxy S3 Mini. Having said all these rumours, here’s our perennial question now – will you consider getting the Galaxy S4 Mini once it’s released? Or will you rather have the Galaxy S4 or wait up for the Galaxy Note 3 perhaps? Share your thoughts via a comment below.